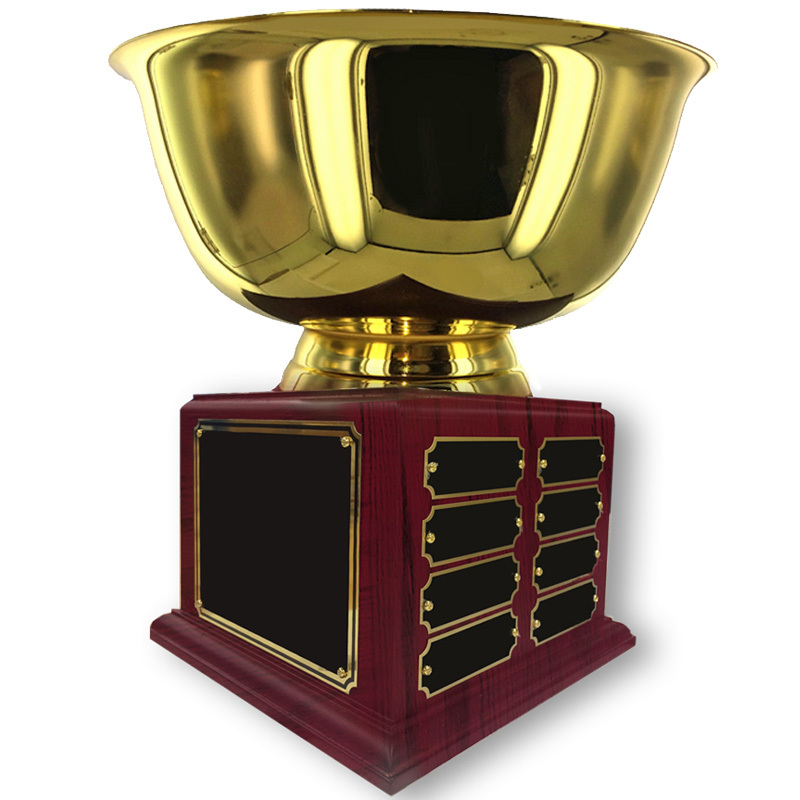 Item Description: 10 inch diameter high polished gold finish bowl perpetual trophy mounted on rosewood finished base. Trophy height from top to bottom is 10-1/2 inch. Bowl diameter is 10 inch. 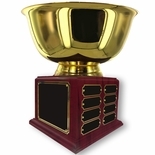 This trophy comes with black screened brass engraving plates (1 big plate and 16 small name plates). Plates are already attached as shown above. Engraving Options: The big plate and name plates can be laser engraved with either text or logo for an additional price. Enter engraving in the text boxes provided or upload your own file with logo or text copies via Upload Artwork File/Engraving link. Just choose engraving options below. You must be logged in with your Dealer Password to purchase this item and/or add engraving options.